Last year, U.S. eCommerce revenue set a record of $3.34 billion on Black Friday – a substantial 21.6 percent year-over-year growth rate. What does this mean to eCommerce? More people are increasingly ditching the old way of going to a physical store for their holiday purchases. Consumers are actively spending more time online to search Black Friday promotions. If you are running an online business, you’d better have best Black Friday marketing ideas ready now to boost great sales this season. Begin your plan by email blasting your past and potential online shoppers ahead of the influx of marketing especially when your competitors are still busy figuring out what to do. There is no doubt social media is thriving but email marketing is a time-tested strategy to expand both your sales and your customer base. Custora reported that 25.1% of sales during Black Friday promotion season has originated from email marketing, which makes it the biggest driver for Black Friday trades. On the other hand, an online retailer instigated an email marketing campaign which saw a 330% increase in revenue per email sent. A catchy subject line. Your email subject line is a vital component to your campaign’s success as this is the first thing that your targeted audience will read. If you won’t catch your reader’s attention with your subject line, then it is most likely to expect an unopened email. Timing is everything. Schedule your emails based on time zones or peak of online email users. Email marketing is like nurturing a seed to grow. Save the date. Include a personalized “Add this event to your calendar” section linking your website. You don’t want them to miss your Black Friday promotions. – Past customers are more on a loyalty program strategy like offering discounts or freebies. – Potential customers are more on a persuasion strategy like limited time offer deals. You may have heard about landing pages strategy. 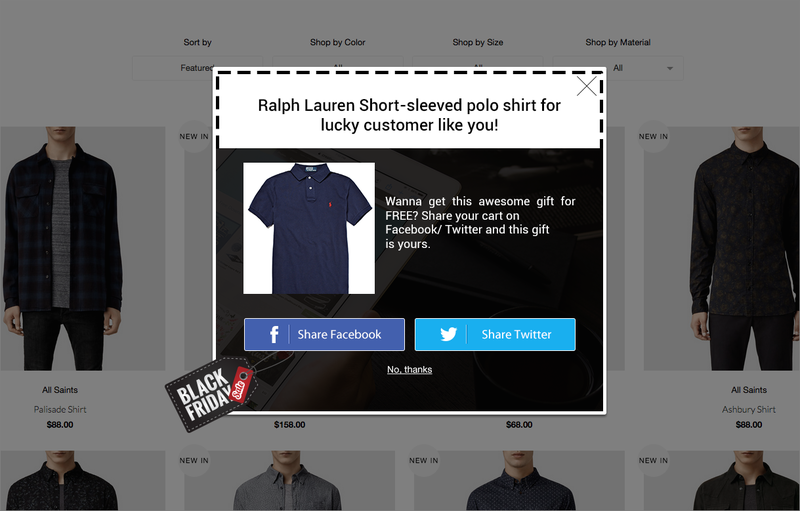 How to make it a lifelong Black Friday marketing for your store? In a report by AdWords, 61% of holiday shoppers begin searching online for their purchases prior to the weekend of Thanksgiving. If annually you make a new landing page to boost Black Friday sales, your SEO will start on a clean slate and that means it is less likely that you will be listed on top of the search results the next time a consumer looks for a product like yours. Take for example an electrical retailer that established a consistent yearly landing page for Black Friday, they have shown an impressive and unswerving page ranking result on Google UK search positions for the phrase ‘Black Friday’. It should look great on any device. Almost everyone has an access to a smartphone or tablet and computer specs vary too, so bear in mind that a slow loading time or device compatibility issues will definitely frustrate your online shoppers. The exit button is literally just around the corner. Include a sign-up function. Well if an online user landed on your page, chances are he is interested in your offers. In order to keep that interest alive, you need to add a section where your potential buyer can subscribe for updates regarding the upcoming sale. Make it evergreen. Your page should be an evergreen content, meaning online users should continuously find your Black Friday and Cyber Monday page to be relevant no matter what time of year. A 2015 study revealed that there were a 3.8 million social posts mentioning Black Friday and Cyber Monday sales. Now that’s an enormous amount of online shoppers to ignore. Planning your Black Friday social media marketing is both exciting and challenging since everything is real time. You see what people are saying on a millisecond and they expect you to act swiftly. Your social media posts should vary before, during, and even after Black Friday or Cyber Monday to boost sales. Find the best time to post. Schedule your post when there is a peak of social media users online. Don’t leave a comment unanswered. Netizens are extremely impatient, so being quick to address their concerns or queries on your posts is highly crucial. A call-to-action. Strike while the iron is hot. Remember to always put an instruction on what is next to do for your customers like “visit our site” or “find out more”. Recommendations or referrals are the most trusted form of advertising, as reported by Nielsen’s Consumer’s Trust in Advertising. This simply means that majority of people heavily rely on someone else’s opinions in deciding what to buy. Another study also found out that referred customers can be a great driver of brand loyalty and striking profitability than any of your other clients. Make it irresistible. The question you need to ask when starting a referral program is how will you incentivize a successful referral. There are lots of ways to create an appealing reward system while maintaining your profitability. Make sure to research on what triggers the interest of your audience. It will be a waste if your reward system won’t magnetize your customers. Indicate the reward’s expiration. The sense of urgency is very important in a referral program. If it takes too long for a referral to make a call to action, then you are passing away a lot of golden opportunities to make a sale. Customers can be very indecisive. Most of the time they like to compare your products first with your competitors before clicking that purchase button. This is true as shown by a research for comparative pricing which discovered that 94% of online shoppers take time in finding the cheapest product, 36% of which spend an additional 30+ minutes of comparison shopping before arriving to an actual purchase decision. By including a countdown timer to your promotions, you help your customers decide immediately, thus closing that sale right there and then. 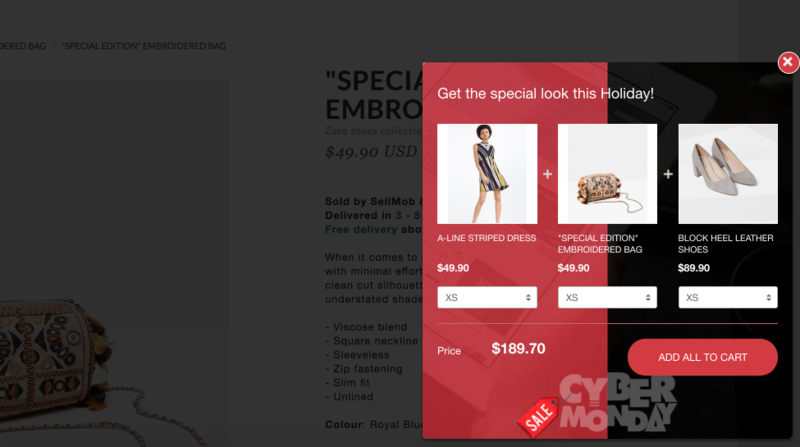 Promotional emails – This will help in building anticipation days or weeks before your Black Friday and Cyber Monday sales. Landing page – A website banner timer to reveal when the actual sale will commence so people can plan ahead when to start online shopping. Upselling and cross-selling are great ways to take full advantage of selling more to a current customer who is already on your website. Create combos of 3-4 complementary products that go well together and offer the whole package to customers at a discount on the total. These kinds of combo promotions work very well on big sales days as Black Friday and Cyber Monday, when people are actively looking for package deal for a much better price. Smarter tool to upsell & cross-sell with discounts: Boost Sales. Write copy message that delivers true value to customers: your message in the offer is the selling copy that convinces customers to take the offer. Polish the copy to make sure it embodies true values to customers. Create a sense of urgency or scarcity: state in your offers that you only have very few items in stocks or offer is only valid until midnight. When being pressed for time or scarcity, customers will be more spontaneous in purchasing items they like. A flash sale is a generally short period of time promotion. It is an exciting way to create hype and boost sale before the actual Black Friday and Cyber Monday. It can be few hours before the expected event or a day or two is also a good idea. 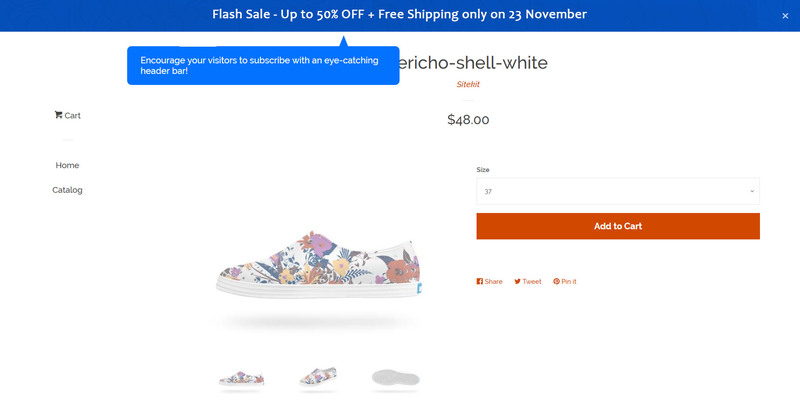 A flash sale testing conducted saw a 51% growth in traffic, 50% rise in conversion rate and a whopping 236% increase in revenue. Flash sales can be tricky so you need to carefully set your limitations and conditions before considering to use this approach. Announce promotions with header bar. You can early announce the flash sale to customers with a sticky header bar on your page. The bar can quickly grab customers’ attention as it remains on the site as shoppers scroll down. Hence you could remind them of your upcoming sales without disrupting their shopping flow. A limit is the key. As much as you want to sell everything, during a flash sale you need to margin a huge number of products. Limited availability should be your top priority when considering a flash sale. Aside from limiting your product offerings, time is also a vital variable. Well, the name flash suggests it but keep in mind that your time should be as fast as lightning. Advertise your unobtainable products. Your unavailable products during flash sale should be promoted. Remind your customers that these products will soon be offered on Black Friday or Cyber Monday itself so they need to be patient just a little longer. Every online marketer wishes for that boost on Black Friday and Cyber Monday sales, but the inflow of massive advertising during the holiday season makes it seem like a wishful thinking. So be sure to apply the tactics above to intensify your Black Friday marketing campaigns and see a smarter difference. Do you need a hand executing these SMARTER Tactics? Have some clarifications in mind? Don’t worry, we are just one comment away. P.S: For more Holiday sales tips (of course, with instructions how you can execute to achieve success) written by our marketing experts, take a look at this guide The 20-Point Checklist to Prepare Your Store for The Holiday Season. Good piece for the upcoming black friday sale. Hi Vanessa, thank you so much for reading our article! Thanks for reading our article, Vanessa!